This section describes how to manage available tasks. You can view the available tasks, update them, and assign them to yourself. In the Task List page, from the Task Status drop-down list, select Available. 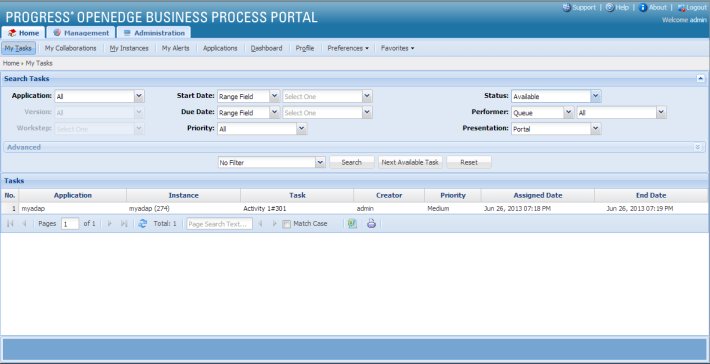 This displays all the tasks available to you as shown in Figure 13. 1. Select a specific application from the Application list in the Filter bar. The Available tasks for that application appears.